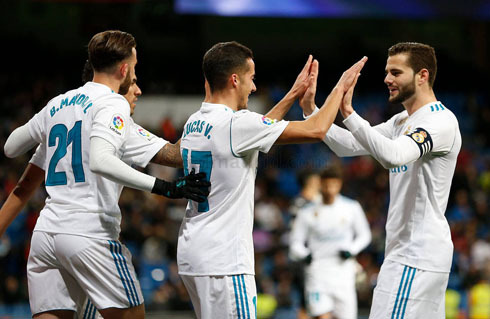 Let's start by saying that there was not much at risk at the Bernabéu, following last week's 3-0 away win against Numancia in the Copa del Rey round-of-16 first leg. 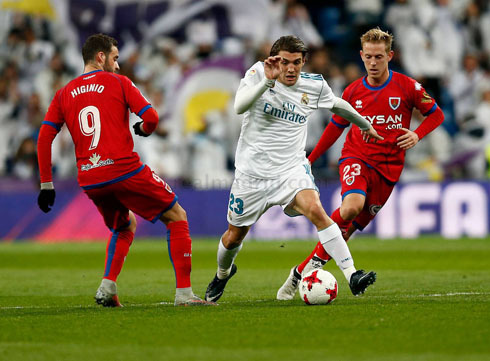 The Bernabéu hosted the second leg this Wednesday night just to confirm the obvious, but the truth is everyone expected a better performance from the European champions. 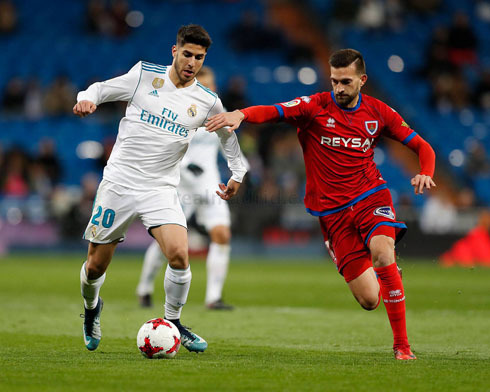 Real Madrid couldn't go beyond a 2-2 home draw against Numancia, a La Liga 2 side, as Zinedine Zidane keeps struggling to turn things around for the Merengues. The 2 goals of the night for Madrid were scored by Lucas Vázquez, who now reached a season high of 5 goals for the club. Cristiano Ronaldo rested for this game and should be back against Villarreal for La Liga, this next Saturday. But it's sad that even with the "B" team we still see many of the same issues that appear with the starting lineup. Zinedine Zidane has to take a hard look at the team and the tactics and figure something out. I don't want to read too much into this matchup as Madrid were very relaxed, but it's hard when a lot of the same issues keep popping up over and over. A pair of goals from Lucas Vasquez gave Real Madrid their goals tonight. 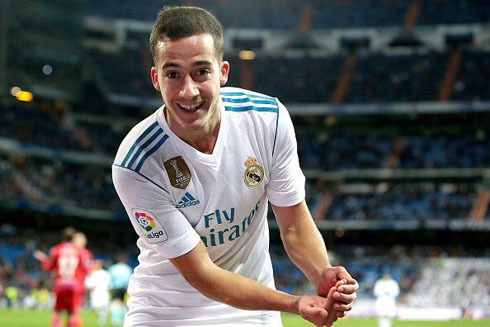 Lucas Vasquez was really the player of the tie, after winning two penalities last week making him directly responsible for 4 of the 5 goals scored by Real Madrid in this 2-leg tie. The midfield lacks creativity no matter who plays. Zidane made some puzzling decisions today as well, sacrificing Mayoral for Casemiro late and playing without a forward. Moving ahead, more questions than answers for Zidane. The transfer window is still open of course, but given this tepid display against a plucky but ultimately inferior second division side, it seems that even new players would suffer under our current tactics. The PSG match for the Champions League round-of-16 tie is fast approaching and we need to figure this out fast. It's the only way to salvage what has been an embarrassing season by our standards so far. Cristiano Ronaldo next game for Real Madrid is on January 13 of 2018 against Villarreal. You can watch Juventus live stream, Real Madrid vs Villarreal, Barça vs Celta de Vigo, Chelsea vs Leicester City, Sheffield United vs Sheffield Wednesday, and Bayer Leverkusen vs Bayern Munich, all matches provided from our soccer live game pages.